I mentioned in a recent post that I began reading Consider Phlebas by Iain M. Banks in part because Banks had announced that he was dying. Late last week, he passed away. There was an immediate outpouring of grief from those who knew him as well as those who were fans of his work. The most recent homage to Iain M. Banks is Annalee Newitz’s article on i09, “11 Rules of Good Writing That Iain M. Banks Left as His Legacy.” It’s not the usual rules, and it’s well worth checking out. I’ll be continuing to read Banks’ Culture series and posting my reviews here. If you are new to Iain M. Banks (as I am), you really should check out his work. It’s clear even to me that we’ve lost a great one. « Who do you write like? Find out! 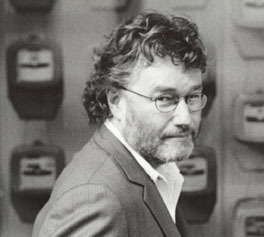 You are currently reading 11 Rules of Writing from Iain M. Banks at Kicking the Pants.